Our specialists have over 25 years of experience with Mazda parts, accessories, and products. They are dedicated to the brand and will provide courteous and expert service every time. 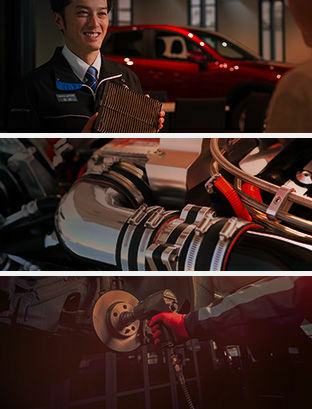 Sundance Mazda uses original Mazda parts, products, and accessories in our Service Department. Only genuine Mazda parts are designed and fine-tuned to work with your vehicle and are built to help retain your vehicle’s resale value. We can also install original, refurbished manufacturer’s components while helping you save money. And with a wide selection of tires suited to all vehicles and seasons, there's a perfect set of tires for your Mazda. For any questions about Sundance Mazda's parts and accessories, please contact us today at 1-844-557-6217 or use the contact form below!